Are you approaching your 40th week of pregnancy? We are sure your anxiety grows about the D-day and how the entire experience of delivering the baby would be. You would want the delivery to be normal and as smooth as possible. Right? And for inducing labor, you would do anything, be it Yoga, soft exercises, eating some relevant foods and more. But did you know that people also use castor oil to induce labor? 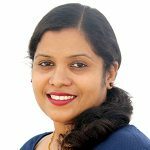 MomJunction tells you if it is safe to use castor oil, how it works and what the researchers say about its usage. 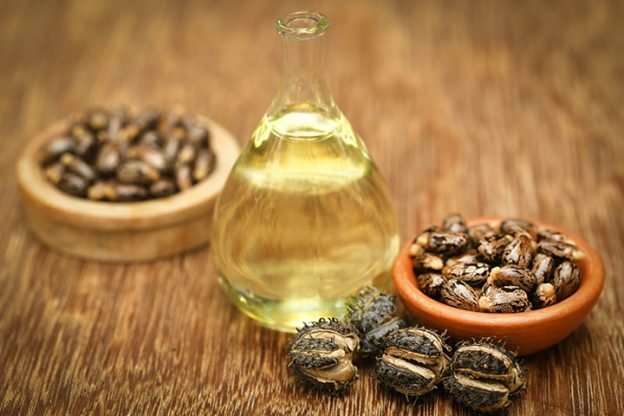 Castor oil is derived from the seeds of the plant Ricinus communis. It has an unusual chemical composition of 90% ricinoleic acid, which is responsible for inducing contractions and is also the source of the various healing properties of castor oil. Castor oil has been in use as a traditional medicine to treat different ailments. 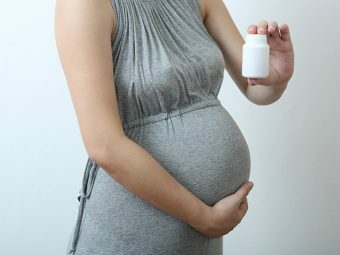 Is Castor Oil Safe To Induce Labor? It is safe to use castor oil when you are overdue. Though there is no scientific proof of its benefits, doctors and midwives use it for inducing labor in the case of post-term pregnancies (1). However, you cannot use it until you reach 37 weeks of pregnancy. Also, you should not be using it unless your doctor recommends it. Your healthcare provider alone can decide when you can take it. How Does Castor Oil Work To Induce Labor? It can cause cramps in the intestines, which stimulates the bowels and irritates the uterus to start contracting. It is known to limit fluid absorption, thereby dehydrating the body and causing contractions. 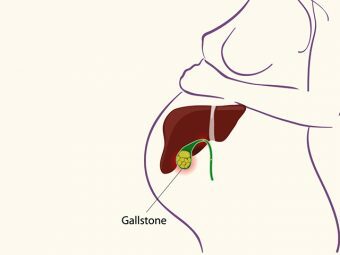 Researchers have discovered that ricinoleic acid targets the release of prostaglandin receptors leading to contractions in the uterus (2). When Can You Start Using Castor Oil? You can begin using castor oil once you pass 40 weeks of pregnancy. Your cervix should be soft, and it should begin dilating so as to improve the effectiveness of castor oil. You cannot use castor oil if you have not reached the due date or have a high-risk condition. It has an unpleasant taste and can lead to abdominal cramping, nausea, and vomiting. It can also cause diarrhea due to its laxative properties. Does Castor Oil Induce Labor If You Are Not Dilated? It is possible for castor oil to induce labor even if your cervix is not dilated, ripened or effaced. It will release prostaglandins, which help in softening and dilating the cervix. In the first time pregnancies, the cervix will not change until the labor begins. How Much Castor Oil Is Needed To Induce Labor? Usually, two ounces is taken in a 24-hour period (3). Mornings are the best time to take the oil. If contractions do not start within a day, you may require another dose. Consume water to rinse away the oil from your mouth. You can also drink hot tea. Drink a lot of water as the laxative property of castor oil can dehydrate you. How Long Does It Take For Castor Oil To Induce Labor? You will begin to see the effects in two to six hours of ingestion. It starts with cramping that would last for one to six hours, and then it takes about five hours to one day for labor contractions to begin. The time taken for active labor varies from individual to individual. Some of them may get within 24 hours, while some may get it with the second dosage. What Does Castor Oil Taste Like? The flavor and odor of castor oil are unpleasant. Its taste is compared to that of a plain soap. It is a thick and clear oil with a consistency similar to cooking oil. It can be mixed with any other drink so as to avoid the taste. You can try these recipes to improve the taste, and you can also tweak as per your liking. But it is advisable to check with your doctor about dosage and frequency. A smoothie can mask the pungent taste of castor oil. Put the required dosage in a mixture of juice, yogurt, and frozen fruit. The cold smoothie will easily flow down your throat. Take the prescribed amount of castor oil in a small glass and gulp it at once. Follow it with a fruit juice (preferably hot apple juice) or a hot beverage such as tea to wash in the oil. Beat three eggs along with castor oil and make an omelet out of it. You can top it up with salsa to make it taste better. However, heating may lower the castor oil effect. Add two scoops of ice cream to the dose along with some orange juice. Have it before the ice cream melts. Make sure you take plenty of water so as that keeps you away from getting dehydrated. Be prepared to rush to a toilet. If you have to eat anything, take light food since a large meal can make you feel nauseous. Are There Any Risks Associated With Castor Oil? Some women might face certain problems when they use castor oil for inducing labor. Diarrhea and dehydration: You may feel nauseous and have an upset stomach, diarrhea, and cramping. Nausea and diarrhea can lead to dehydration, causing fatigue. The stress associated with cramping can increasing the heart rate of the baby. Passage of meconium: Since castor oil travels through the placenta to the baby, it can force the baby to pass meconium (first stool). If it is inhaled or aspirated into the lungs, it will lead to aspiration pneumonia which is fatal and causes developmental delays in the baby. However, it is not scientifically proven that castor oil will lead to the passing of meconium. Irregular contractions: Sometimes, there would be hours of abnormal contractions, which are not real labor pain. They can make you feel exhausted. According to one study, castor oil increased the risk of C-section. However, this was a very short study and was not backed up with follow-up studies. In another study, castor oil was found to increase the chances of labor in nearly 58% of the participants (4). One report says that castor oil is neither risky nor helpful in inducing labor (5). ‘Castor oil and soap enema study’ shows increasing rates of labor induction with the use of castor oil (6). A research paper published in the ‘Proceedings of the National Academy of Sciences,’ says the key ingredient of castor oil, ricinoleic acid, targets prostaglandin receptors of intestines and uterus to stimulate contractions (7). After intensive research to give you comprehensive information, we thought some success stories would add value. Here are a few success stories from MedHelp community (8). The advanced medical science has several options to induce labor in the case of delayed deliveries. 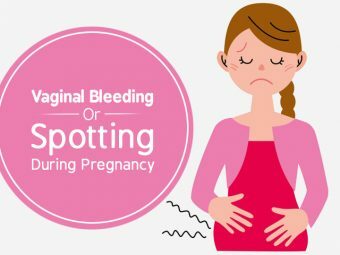 However, if you wish to stay away from all those methodologies and use natural home remedies to induce labor, you first need to get a go-ahead from your doctor to use castor oil. For some women, it may really help while in some it might be a pure coincidence. Are you one of those lucky ones? Do share your story here.